Wow, another year has gone by already? I guess I should have noticed due to the mania at the shopping centres and another mediocre Star Wars movie screening in cinemas (don’t @ me). I suppose that means it’s time to make an obligatory Game of the Year list. And for me personally, 2017 is a hard year to pick a top three from because to be honest, there weren’t that many mind blowing games. All the games that I did like this year, and even the ones that made it into my list, weren’t slam dunks. Even though they stood out and were objectively good games, none of them gave me that itch, that obsession to play them. Both my 2015 and 2016 top threes were packed with games that dominated my psyche when I wasn’t playing them, either through a mind-blowing story or deep gameplay, making me crave jumping back in for more. For me, there weren’t really any such games in 2017. Now before you take to the internet and do what internet people do (i.e. Tweet yourself into a rage spiral), I must stress that I say that based upon the games I managed to play throughout the year. I can’t possibly play everything that comes out, and there’s a lot that slips through the cracks. I see Nier Automata and Persona 5 on a lot of people’s lists, but I sadly never got around to them. The same goes for What Remains of Edith Finch, another critic darling that passed me by. The Legend of Zelda: Breath of the Wild is another one that is certainly getting a lot of love, but I only recently got myself a Nintendo Switch so I’ve only just started playing it. And it’s good (so far), I see what people are saying about it. But I’ve barely scratched its surface, so it doesn’t make the cut. Plus, its weapon degradation mechanic is absolute trash. Yeah, I said it. My point is, I can only judge from what I managed to play. But hey, at least my list is more exciting than Charlie’s inevitably will be, since it’ll most likely be three of the four Nintendo Switch games he gave 10s to this year. Outlast 2 – Went a little overboard in the let’s-see-how-fucked-up-we-can-be department, and the ending was clunky, but goddamn Outlast 2 reminded us how atmospheric and intense horror games could be. Those panicky sprints away from enemies were genuine. Crash Bandicoot N.Sane Trilogy – Not everyone loved this remaster of the original Crash games, but I sure did. It felt exactly like it did when I was a kid, for better and for worse, but with a gorgeous new look that didn’t stray too far away from the original art design. Newcomers might have hated it, but for nostalgic fans like me it was everything we wanted. Prey – I may have struggled during my time with Prey thanks to its wildly fluctuating difficulty due to whatever materials I had on me at the time, but its Bioshock-but-IN-SPACE narrative style was something to behold. The ending wasn’t the best, but the non-signposted, ethical dilemmas it placed me in were fantastic. Super Mario Odyssey – Like I said earlier, I just picked up a Switch, and this was my first game on it. I’ve never been a Mario guy myself, but Odyssey was a lot of fun. The clever level design, interesting mechanics, Mario’s complete lack of respect for others’ body autonomy, was all great. Mario himself controls like a shopping trolley at times, but this still is modern platforming at some of its finest. Call of Duty: WW2 – If you’d told me I would include a Call of Duty in my games of the year back in January, I’d have laughed. Call of Duty: WW2 was no prize chicken. Its multiplayer is the average arcade shooter affair, a formula that’s been growing stale for a while now. And let’s not forget the loot boxes, that garbage must never be overlooked. But it’s the game’s campaign that really stood out to me, because it was the first CoD campaign since Modern Warfare 2 that I’ve found to be genuinely thrilling. Rife with war movie cliches? Yes. But having decent characterisation and keeping things grounded made for one entertaining time. Horizon: Zero Dawn knocked one of the weirdest game premises out of the park. “Mankind is living in a dystopian, caveman future, but with robot dinosaurs,” is so silly on face value, but the game weaves that concept into such a bleak, kind of plausible eventuality that it becomes strangely compelling. And the cast of characters are equally as compelling, in particular the protagonist, Aloy. She’s a female protagonist that I really appreciated seeing because she wasn’t your archetypal strong-female-character. Her gender wasn’t what made her special; there was a solid lack of “you want to fight, but you’re…a girl? !” Instead it was her mysterious origins and her want to understand the world around her that drove the story forward. It was refreshing. On the gameplay side of things, fighting the plethora of different robot dinosaurs was brilliantly intricate and varied. Different machines needed different strategies to overcome, making it feel more like being a hunter overcoming wild beasts than your average action-RPG combat. The only drawback, for me at least, was the game doesn’t make enough of an effort teaching you any of these intricacies. I spent so much of my early time in Horizon raging at its seemingly unfair difficulty until friends informed me of things like new arrow types, elemental damage, and what have you; things that the game only tells you about if you purchase a new weapon that boast those upgrades, which you wouldn’t do unless you knew about them already. 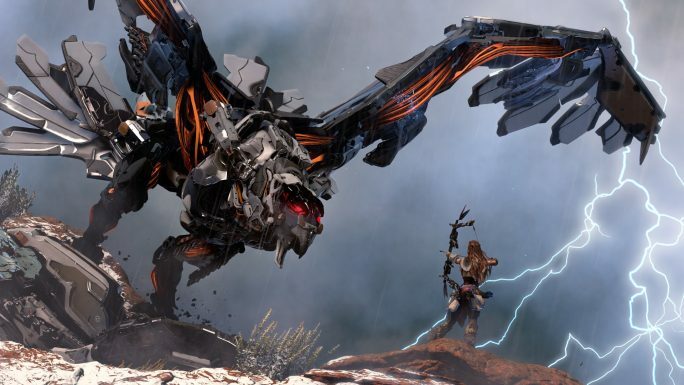 But frustrating tutorial aside, once I understood the game properly, Horizon: Zero Dawn was a fantastic time. Speaking of raging at a game’s seemingly unfair difficulty, here’s Cuphead! Cuphead gave me both some of the most exhilarating and infuriating times I had playing games this year. It was a constant journey of ups and downs as I overcame the seemingly insurmountable wave of bosses and challenges the game throws at you. Sure, at times it felt woefully unfair, but with determination and experimentation with strategies it could be done. And much like Dark Souls and Bloodborne, games Cuphead has been compared to on numerous occasions, those highs when you get that knockout far outstrip the frustrating lows. It’s a game philosophy that isn’t for everyone, heck it’s not always for me even, but it can be incredibly rewarding when you’ve got the grit. Sometimes it all gets a bit much, hence why I didn’t get that sweet obsessive itch for it, but when you’re in the mood, it’s a great time. But the true star of Cuphead is its amazing concept and beautiful art styling. The narrative premise of two innocent looking cup people acting as debt collectors for the devil was so simple yet immediately intriguing, and gave the whole game a really sinister overtone. 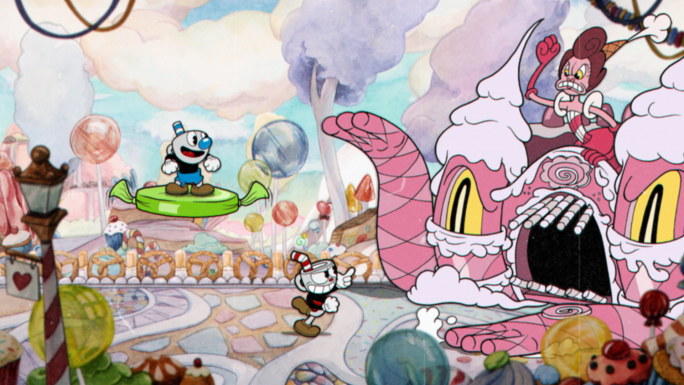 As for the artwork, the 1930s animation style, all animated by hand before being digitally copied into the game, makes Cuphead probably the best looking game this year. It bursts with creativity and originality, and it’s just stunning to look at. Wow, two years in a row and an online, multiplayer only game is my game of the year. Maybe my tastes are changing? Either that or singleplayer, narrative based games need to up their game. Yes, PUBG, the 100 player battle royale game, is my game of 2017. I say it’s a controversial choice because technically the game only really came out yesterday, and we’ve been playing the Early Access beta release all year. As a result, PUBG wasn’t the most polished experience. Menus glitched out, servers weren’t always up to snuff, some janky physics here and there. And for some that means maybe it shouldn’t be considered for Game of the Year, because its Early Access status gives its faults a free pass compared to its full release counterparts. 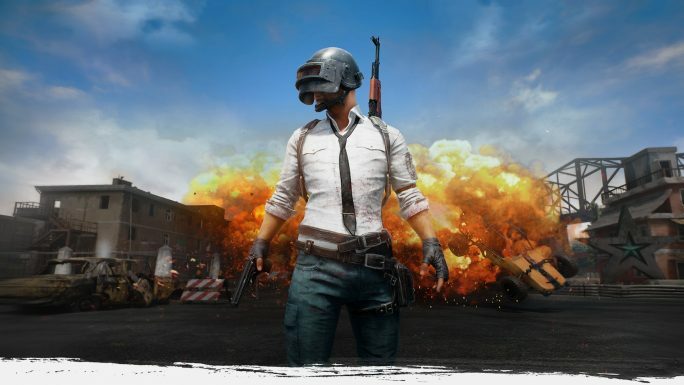 And I can see the thinking there, but I came to the decision that PUBG should be eligible because, despite its drawn out beta release, it was a game that could be bought and played during the year. And let’s be honest, what widely played online game, Early Access or not, doesn’t have instances of glitches and server issues? There are whole YouTube channels dedicated to having a laugh at glitches encountered in such games, even! I’m not saying we should consider glitches in games acceptable, but I can accept that they do happen, and in my experience I never had them render my time with PUBG unplayable. Yes, those weird, initially orgasmic before turning full Joker cackle, sounds are me winning my first solo game of PUBG. I can remember every second of the five minutes leading up to that moment. I was on the edge of my seat, sweating balls, barely fathoming that in this round of 100 strangers fighting to the death, it had come down to just me and them. A game of waiting each other out, until they pulled the hilariously stupid move of standing up and running out in the open. Several shots later, that sweet chicken dinner was mine. I’ve had many rounds of PUBG since, and not every one has been amazing. Sure, it’s amazing fun when you’re in the tense endgame, or decimating a team you’ve caught unawares, but it sure isn’t fun to be on the other side of those situations. Having your cautious stroll ended by a bullet from someone you haven’t even seen is such a frustrating let down. So is encountering hacking dickheads. But hey, that’s competitive gaming I suppose. Oh, and the onslaught of racist douche bile bursting forth from the lobby open voice chat is certainly something I could do without. Again, that’s competitive gaming I suppose. But when PUBG gets exciting, it’s incredible, and easily gave me some of the my most memorable gaming moments for 2017. Just not the Xbox One version though, that runs like absolute garbage and should be avoided for the time being. Trash all of Tom’s choices and share your own GOTY picks on Twitter: @tomdheath. Don’t forget to follow LoadScreen on Twitter, @load_screen, and like us on Facebook.